1. 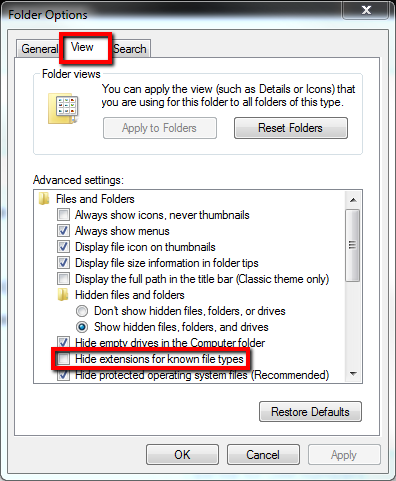 Create two empty folders on your desktop. Call one “X9” and the other “2017” or higher (version). 2. 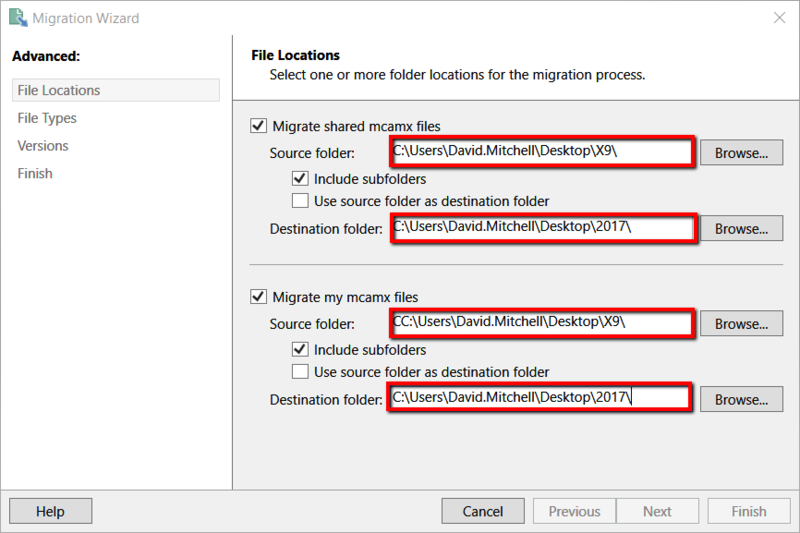 Copy only the custom Machine and Control Definitions from the “C:\Users\Public\Public Documents\shared mcamforswx9\CNC_MACHINES” folder to the X9 folder created on the desktop. 3. Copy just the custom post processors from the “C:\Users\Public\Public Documents\shared mcamforswx9\Machine Type\Posts” folder to the X9 folder on the desktop. The post processors will have a .pst, .psb and/or .psm extension. 4. 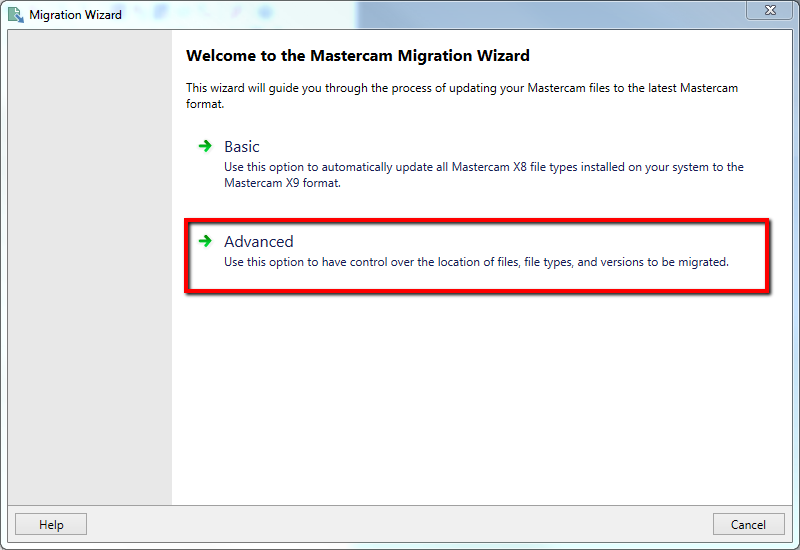 If you have a custom tool library, copy it to the X9 folder on the desktop from “C:\Users\Public\Public Documents\shared mcamforswx9\Machine Type\Tools”. 6. 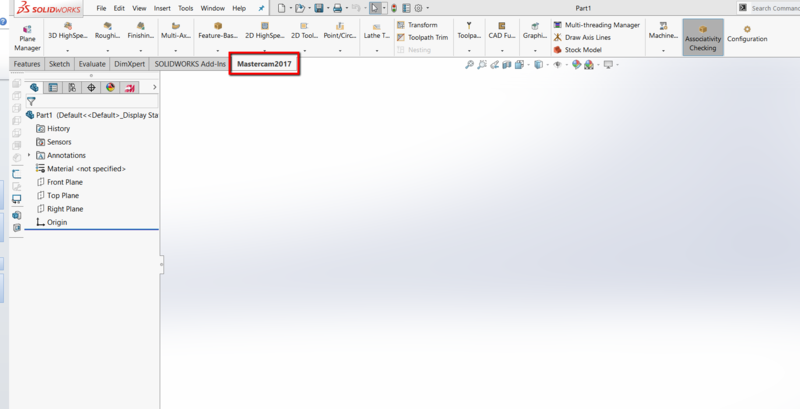 Select the Mastercam (Version) tab. 10. 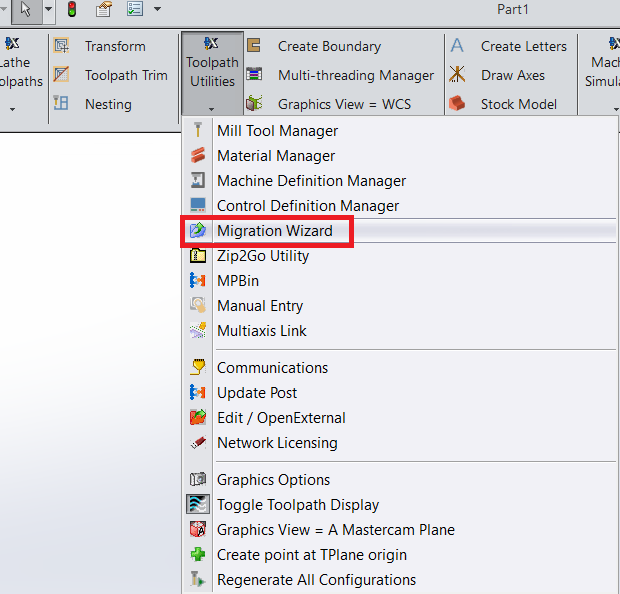 Set Source to the created X9 folder and Destination to the created (version) folder. 11. Next > Next > Next > Finish. 12. Place updated files in respective (Version) folders. Note: Operation libraries and operation defaults can be updated as well if needed. However, do not update configuration file. The configuration file needs to be rebuilt within (version). Keep in mind for this that both versions can be opened at the same time.